Ever wonder what to roast, toast, flambé or puree? 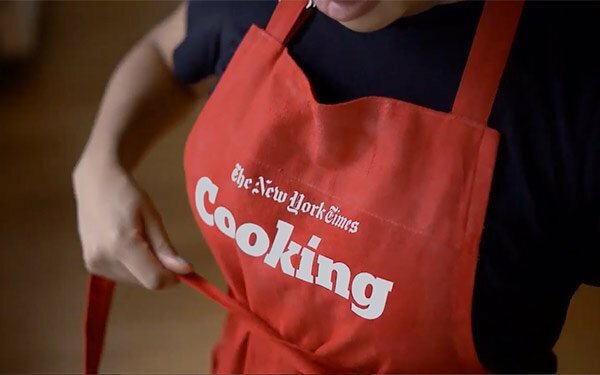 The first brand-marketing campaign for NYT Cooking, which debuts today, answers those questions and more. Created by The New York Times brand team along with creative agency Gretel, the subscription service aims at cooks of every skill level — beginners and the accomplished alike. The campaign features 15-second and 30-second TV spots that run cross-platform — on select cable TV channels, Twitter, Facebook and Instagram, as well as display. It will run for four weeks. The tagline “What To Cook?” underscores the totality of the site’s reach: recipes, advice and food journalism. It is eclectic in its charge; it offers meals for everyday or special occasions, explores specific ingredients and entertaining on a larger scale. “NYT Cooking has become an essential handbook for home cooks since its inception five years ago. And since we launched subscriptions for Cooking last year, we’ve garnered more than 120,000 of them, a NYT rep said. For November and December 2018, NYT Cooking claims over 25 million unique users. NYT Cooking charges $40 a year or $5 every four weeks. It features curated recipe collections and more than 40 cooking guides. Subscribers can access 19,000 curated recipes from Times journalists, including Food editor Sam Sifton, Melissa Clark, Julia Moskin, Tejal Rao, Kim Severson, Alison Roman, Mark Bittman, Craig Claiborne, Molly O'Neill and Ruth Reichl.